Joggin’ For Frogmen and GORUCK have teamed up this year to include a Rucking division at each of our races. You can find the rucking division category (5K GORUCK or GORUCK Virtual) under the regular Joggin’ for Frogmen 5K registration sites. If you are not able to attend one of our scheduled races, register as a Virtual Rucker and we will mail you a Joggin’ for Frogmen shirt, medal, bib and the custom GORUCK patch. Rucking is the foundation of Special Operations training. Operators are well versed in shouldering heavy rucks through cities, mountains, jungles and deserts, in war and in peace — alone when they must, together whenever possible. You wear a backpack, walk, it’s a fitness thing. And you’re already doing it. Hiking is rucking in the mountains and urban hiking is simply called rucking. Rucking can be done at any weight. It’s a lot of fun to do with friends and is a great workout. 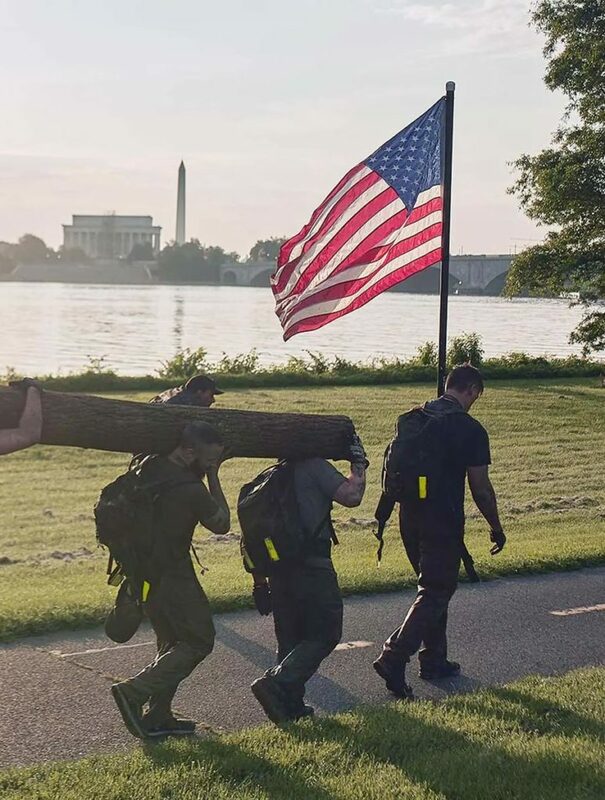 For more information about rucking and GORUCK, visit www.GORUCK.com. If you weigh under 150lbs, a minimum of a 10lb weight is required. If you weigh over 150lbs, a minimum of a 20lb weight is required. The weight you start with must be the weight you finish to be eligible for 1st, 2nd, and 3rd place medals.